I know it is cliché to say “do as I say…not as I do”. But, don’t you get frustrated by the double standard in business today? We see managers putting the screws down on staff as they take off early on Friday afternoon to golf. Or, the perks are always reserved for those more politically savvy than those that really deserve to be rewarded for their hard work. 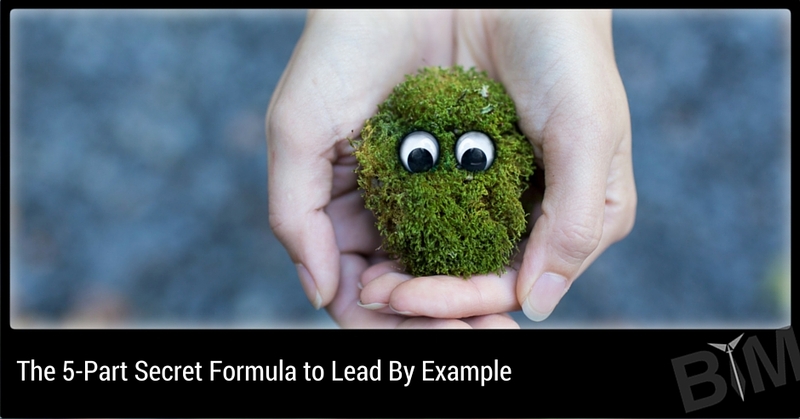 If you’re in a management position, no doubt you’ve been told to lead by example. But what if you’re the youngest in the room? What if you’re the new employee that doesn’t know “the ropes”? Speech – The words we use are powerful. In today’s world, we’re constantly communicating by phone, email, instant message, and text messaging. If we are to follow through with what Paul is saying here, we need to develop habits that control what we say and how we say it so that it is an excellent illustration of our own values and an expression of our own worldview. This means that we need to continue to study our own set of values and the worldview by which we live. A short 15-minute read of scripture in the morning can help keep us grounded. Conduct – Paul says to lead by example in our own conduct. Actions do speak louder than words and we’ll have more impact at work if we have integrity in what we say and what we do. The easiest way to stay on track with this is to find an accountability partner. Find someone that you can confide in and will give you honest feedback on your own conduct. We all make mistakes from time to time, but the goal is to reduce the frequency and severity as we mature. Love – Let’s not take this to the romantic love that we’re so fond of these days. Let’s stick to the meaning that Paul intended as he was providing instruction to Timothy. This is that type of love that will stop at nothing when it comes to looking out for the best interest of others. Even those that rub us the wrong way deserve this type of love. After all, our Father in heaven already provided this love by offering up His one and only son as a sacrifice for the sins we’ve already perpetrated and the sins that we’ll no doubt perpetrate in the future. If we truly saw God’s creation they way He does, we’d be a lot better at displaying this character trait to lead by example. Faith – What does it mean to lead by example with our faith? Well, I once heard a comparison between belief and faith that provides me constant guidance. Belief, that which most of us show everyday, is conviction. However, faith is action based on that conviction. For instance, we may all believe that plane will fly. Heck we see them in the air everyday. But faith is stepping on the plane and taking a ride. Therefore, as we look to lead by example by faith, it may be better to ask ourselves what actions should we be taking that demonstrate what we believe. Faith requires courage and perseverance, but if we ask Christ to bear us up as we try to walk on water, He’ll be there every step of the way. Purity – Before you provide a harsh comment that this is one of those lofty platitudes that I despise so much, I would like to say that purity is defined (loosely) as the condition where you are completely devoted to God (The New Bible Dictionary, 3rd Edition). This means that we are not to be double-minded; one part of our day dedicated to God and the part of our day dedicated to ourselves and our own desires. When we approach life as if it were a gift from our Creator to do His work and participate with Him as His prince, then we’re able to take purity to the next level – leading by example. Now, you can’t just imagine all this will happen on it’s own. Maybe you can write down the 5-Part formula in your notebook and revisit it during the day and the week. Even better, confide in your coworkers that you’re trying to do a better job of leading by example and that you have some things to work on. Then, give them the authority and latitude to call you on the carpet when you stumble. Also, ask that they pray for your ability to follow through and grow in your own relationship to the Lord. Imagine what life would look like in just a month if you started to concentrate on the 5-Parts of this secret formula that keep you on the right path to make a huge impression on your coworkers, peers and your customers! May God richly bless you and your business!